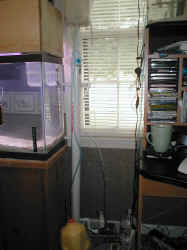 Re: Skimmate & Algae Question Thanks for the speedy response. 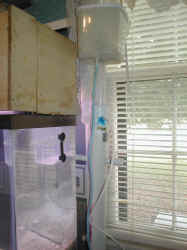 <our pleasure> I'll adjust the skimmer up about an inch and try that. <excellent... dry foam will be darker for it. No foam production would indicate that the skimmer is too high. Do clean the inside of the neck at least weekly to prevent a build up of organics there as well as the cup> As to the algae, can I safely scrape it off the tank glass, or is it best to let it be until it fully cycles? <do scrape it off it you like... no harm at all from the front glass> Thanks again!